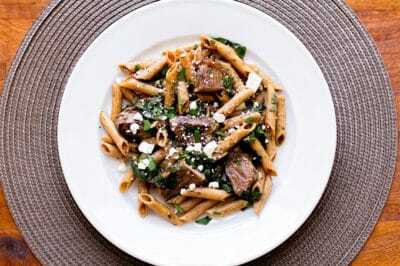 This pasta with steak and spinach is a long-time favorite recipe at our house. 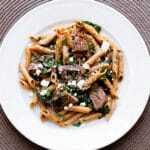 Tender New York strip steak tossed with spinach, pasta and a tangy Dijon mustard and balsamic dressing. I have a love/ hate thing with Food Network; on one hand, I credit the 24-hour food and cooking channel with my early cooking education – thanks to the Food Network I learned how to peel and chop garlic, dice an onion, and make the most amazing flourless chocolate cake. On the other hand, I hate it because it’s gotten so annoying over the years (sort of like what happened to MTV) and there are very few shows I can even tolerate now – Barefoot Contessa (genius) and The Pioneer Woman (gotta support the bloggers) are the only two. I DVR them so I don’t even have to turn to the channel. All of this Food Network dust got stirred up after I found an old binder neatly filled with single page protected printed recipes and, as I flipped through it looking for gems, I realized every single recipe was from the Food Network. Every single recipe! In my hands was the evidence of my old cooking show obsession back when Food Network was the only channel I watched – back then I had no idea what was going in the world, but I could tell you, in stalker-like detail, what Ina made for Jeffery that day, where they ate it, and what I learned from watching it. I was such an earnest student. One recipe in the binder, Giada’s pasta with beef and arugula, caught my eye and instantly transported me back to the days before the blog when I was building out my go-to recipe repertoire. 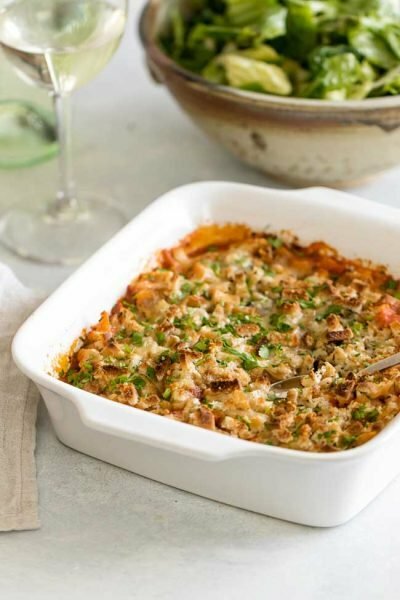 The recipe is simple – sort of like Giada’s show back when she was just a girl making approachable Italian food – and one that I turned to again and again. I even remember the episode – in it, she wrapped up the beef and pasta in cute take-out boxes and surprised her husband at work with lunch. They ate it in his office with chopsticks. Why I remember things like this I have no clue, but I made it for dinner that night for Steve and I (with some minor adjustments) and it was just as I remembered – simple and flavorful. 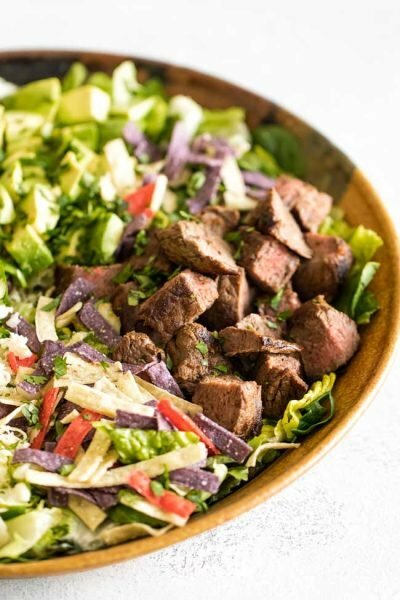 All you do is cook up some pasta and steak and toss both in a balsamic, mustard, and herb dressing. It can be served warm, at room temperature, or cold. As we ate I sort of kicked myself under the table for keeping the recipe in exile all these years. Strangely enough, since the binder discovery and my happy reunion with the Giada recipe, I’ve started tuning into Food Network when I’m at the gym. There is something deliciously sick about watching Anne Burrell make New England clam chowder with no less than 3 cups of whole milk and heavy cream combined while I burn calories walking my heart out on the treadmill. At the gym I really don’t care who’s on – I watch it all: Rachel, Sandra Lee, Guy Fieri, Giada – it’s a Food Network safe zone and a cherished 40-minutes in my day where I can just zone out and be okay with Sandra Lee’s crazy tablescapes, Rachel’s for-profit garbage bowl, and Giada’s disturbingly big smile. Food Network ain’t what it used to be, but I think I’ve made my peace with it. 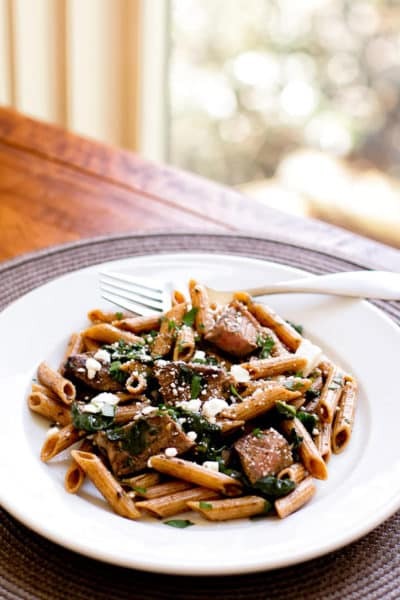 Tender New York strip steak tossed with spinach, pasta and a tangy dijon mustard and balsamic dressing. In a small bowl combine the Italian seasoning, garlic powder, salt, and pepper. Season the steak on all sides with the mixture and set aside. Heat a tablespoon of olive oil in a medium-sized pan over medium heat. Cook the steak for 5-7 minutes on each side (depends on how pink you like it – 7 minutes will be barely pink). Remove the steak from the pan and leave it on a plate to rest before slicing. Bring a large pot of water to a boil and cook the pasta according to package directions. Reserve a couple tablespoons of the starchy water before draining the pasta. While the pasta cooking, whisk together the remaining olive oil, balsamic, and mustard in a small bowl. Once the pasta is finished cooking toss it with the dressing, reserved pasta water, sliced steak, parsley, and spinach until the spinach starts to wilt a bit. Season with additional salt and pepper, if desired. 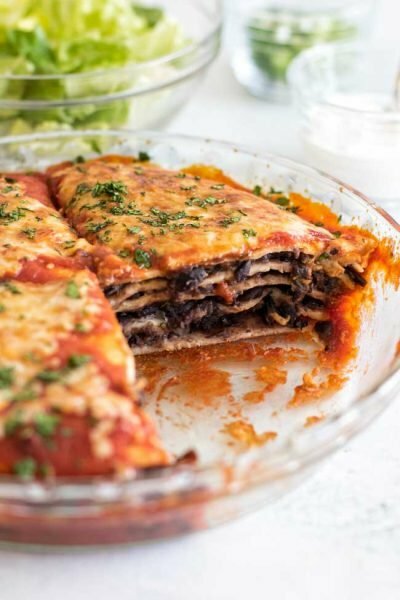 Top each serving with 2 tablespoons of feta cheese. Serve the pasta warm, at room temperature, or store it in the fridge to enjoy cold. I added some mushrooms and halved cherry tomatoes! Great recipe! Thanks for sharing. I love the additions! I’m glad you enjoyed it! Thanks for the recipe. We enjoyed it but would recommend tenderloin instead of NY Strip. I unfortunately must have purchased fatty pieces. Also, we substituted Gorgonzola for the feta and liked the contrast in flavors. The spinach cooking in the heat of the finished pasta was great! I’m a real cooking novice. So the spinach is fresh but uncooked correct? It gets mixed with the pasta and will shrink and get warm? You are right! 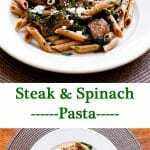 Yes, add the spinach raw – when you toss it with the hot pasta and steak it will wilt. What do you do with the reserved pasta water? 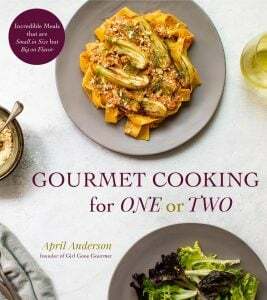 You toss it with the pasta and dressing – I’ve updated the recipes, so thanks for pointing this out! This is the quickest meal I’ve ever made and super delicious. Ive been trying to vary my pasta meals and this was a lovely break from the normal tomato or cream sauces. Thanks for sharing. Thanks for letting me know! I’m happy you liked it! 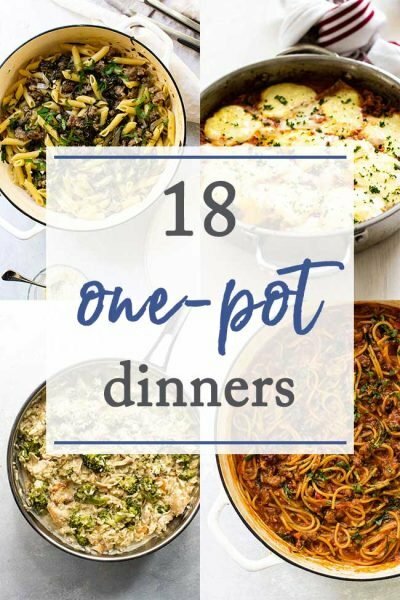 I made this tonight and my husband and I loved it! I also added tomatoes and I used tenderloin steak (so good!). Definitely going to make this again. Thank you! I made this tonight with cubes of leftover rib-eye. Delicious! I added a diced tomato or two, since I had some fresh ones on hand, and that was a wonderful addition. Recommended! That’s great, Laurie! Thanks for letting me know – love that you added tomatoes, too! I used leftover steak and had all but 3 ingredients on hand. The dinner was simple, easy, and delicious. Thank you! Oh, that’s great to hear! Thank you for letting me know, Melissa! Great recipe. I am going to try it out! Do you recommend different cuts of steaks for this recipe or is strip steak simply the best? Atlas Steak has a post about the best cuts of steak that I would like to test out with great steak recipes! Hi! I really enjoyed your recipe 🙂 I seared filet mignon (cuz I am a steak snob) and served it on the side of the pasta. 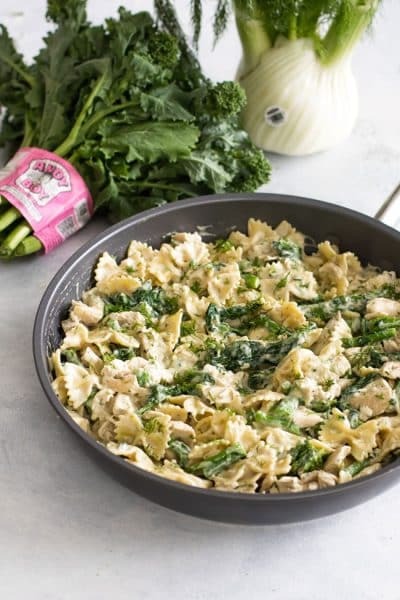 I used trottole as that is what I had, plus I added some snap peas to the pasta near the end of cooking since I am trying to add more green to my diet. The peas really complemented the sweetness of the balsamic! I’m looking forward to making this with the peas and minus the steak for summer potlucks. I love your food shots! Very inspiring. My wife and I are new bloggers and we love flipping through blogs with quality content like yours.Thank you. What a wonderful idea! I’d like this a lot.